Norr knives represent timeless Scandinavian design combined with quality materials that are made to last. 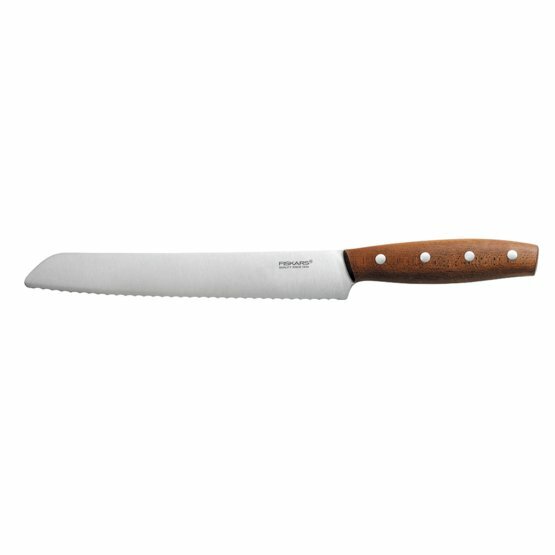 Bread knife with a serrated edge has a large and strong blade. It cuts without efforts all crusty bread. Premium quality German stainless steel. Handle material Norwegian Kebony wood.